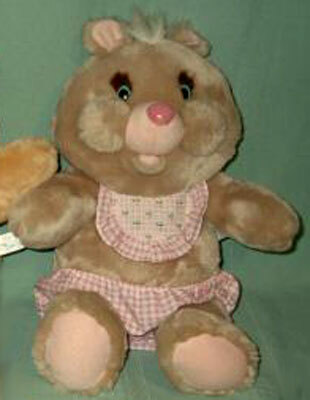 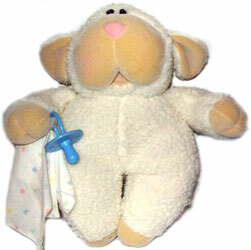 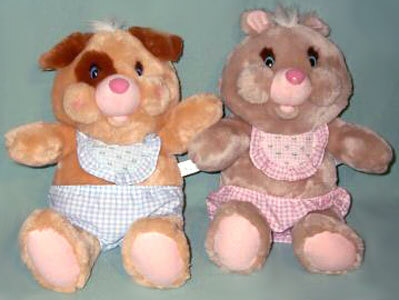 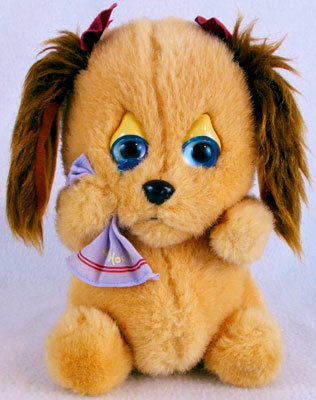 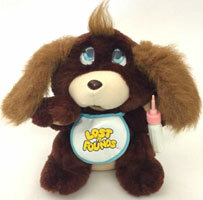 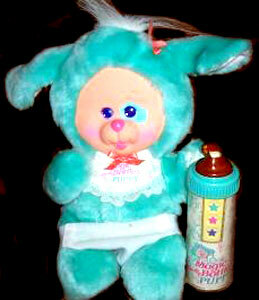 SnuggleLoves were produced by American Greetings/AmToy in 1987. 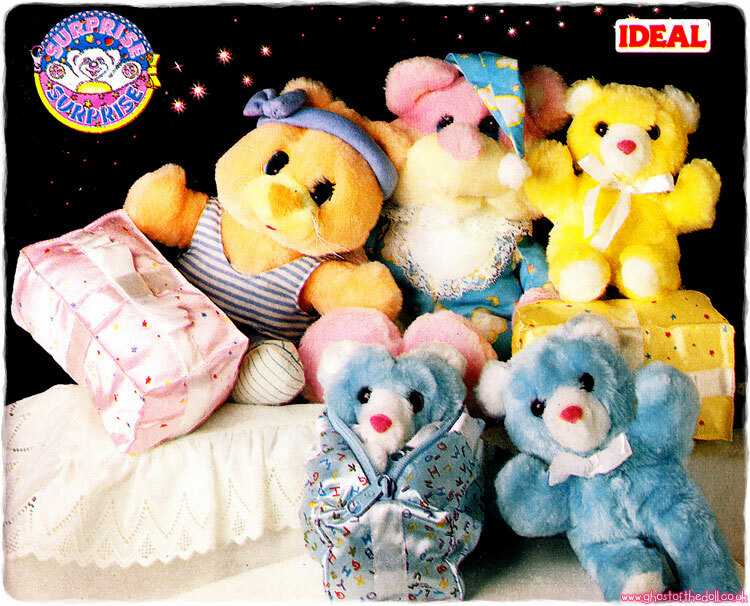 They were 14 inch high plush animals and came dressed in a bib and nappy. 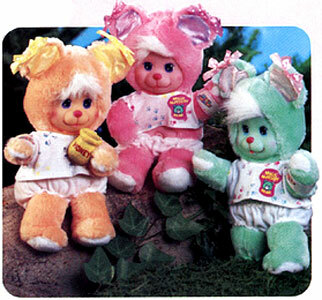 If you know anything about this series or have any more images then please email me as I haven't been able to find out much at all! 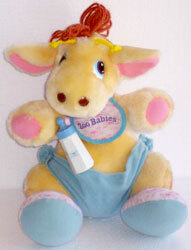 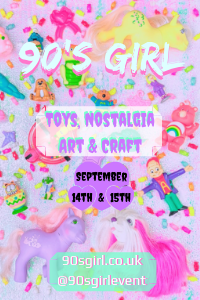 Images on this page thanks to eBay sellers Childhood Memories , ThingstobeTreasured and CJs Crafts n More ! 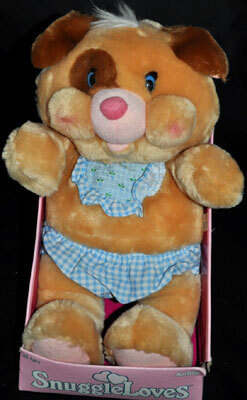 QUICK LINKS> Find SnuggleLoves on eBay.com on eBay.co.uk ! 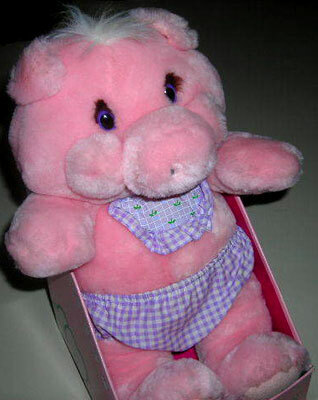 I know of three SnuggleLoves so far, a dog, a cat and a pig.